Hillary’s unofficial launch of her 2016 White House bid. 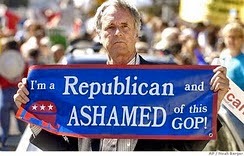 It is also no surprise that one of her first stops on the tour was for a star appearance at the Council on Foreign Relations (CFR), the establishment brain trust that has served as the power behind the throne governing America for most of the past century, regardless of whether a Republican or Democrat has occupied the Oval Office. 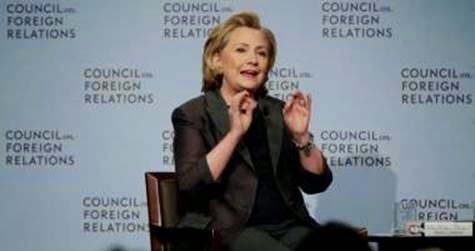 In a July 2009 speech at the CFR’s new Washington, D.C. headquarters, then-Secretary of State Hillary Clinton referred to the CFR’s New York Pratt House headquarters as her “mother ship” and confessed that the State Department looks to the CFR “to be told what we should be doing and how we should think.” Now, with the CFR office just down the street, she said, she wouldn’t have to go so far for direction. The anti-sovereignty theme of Haass is a favorite refrain and fetish of CFR maestros, who have been in the forefront of promoting world government and the destruction of national independence for most of the past century. A video of Hillary’s 2009 CFR speech and admission follows. To the above list of CFR media insiders could be added Rupert Murdoch, Michael Bloomberg, Charlie Rose, Maria Bartiromo, Charles Krauthammer, Andrew Rosenthal, Lee Bollinger, Barry Diller, Jeffrey Bewkes — and many, many more. Hillary got a big sendoff for her book on June 9 with an interview on ABC by Diane Sawyer (CFR) that was somewhat testy with regard to Benghazi, but, overall, no doubt helped push book sales. Ditto for the June 4 cover story for People magazine (owned by TimeWarner, a CFR corporate member). Vogue magazine, which has featured a number of head-over-heels bouquets for Hillary over the years, published an exclusive excerpt from Hard Choices. “[A] clear and at times riveting account of Hillary Rodham Clinton’s four years as secretary of state….,” David Ignatius (CFR) of the Washington Post wrote. “Hard Choices is a richly detailed and compelling chronicle of Clinton's role in the foreign initiatives and crises that defined the first term of the Obama administration…,” the Los Angeles Times exuded. According to publisher Simon & Schuster, Clinton’s book has already sold out the first million copies. All of this friendly media treatment, undoubtedly, has been a key factor in pushing it to instant bestseller status — and adding materially to the Clinton family’s already considerable fortune. Hillary’s statement during Diane Sawyer’s ABC interview about her and Bill being “dead broke” in 2000 has caused her some repercussions and minor grief. Many critics have pointed out that this was a dishonest attempt to appear to be personally sensitive to the financial pain of average Americans; she had already inked a near-record, multi-million dollar book contract (with a huge advance) — one of several she has enjoyed — before leaving the White House. Even the pro-Clinton Washington Post felt compelled to point out that “Bill Clinton has received nearly $16 million in pensions and benefits from the federal government since leaving office,” which is in addition to the tens of millions more he has made from book deals and speaking engagements. Although Hillary has not yet become an official member of the CFR, husband Bill and daughter Chelsea are already members. A video of Hillary Clinton’s June 12 book tour appearance at the CFR is posted below. Labels: CFR , Conspiracy , Hillary Clinton , Internal Subversion , Media , Propaganda , State Dept.